Thank you for contacting Gathered Again. Use the form below to contact us and we’ll get back to you as quickly as possible! 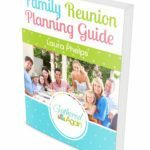 You can also use this form if you have any great family reunion ideas that you want to share with us.